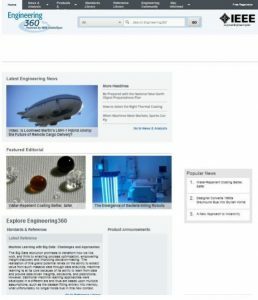 This site has everything an engineer needs, from useful videos and tutorials to various engineering-related jobs. It has challenging games and the ability to improve the thinking skills of its visitors. 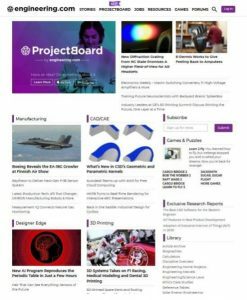 More than that, they have the latest tech-related news and articles, forums for discussion, webinars, ebooks, tech audios and videos, and Project Board, where engineers can share new ideas and solve problems. This site is highly beneficial for those looking for a job or who want to be up to date with the latest tech advancements. Most of the visitors of this site are engineers and people interested in the engineering field. 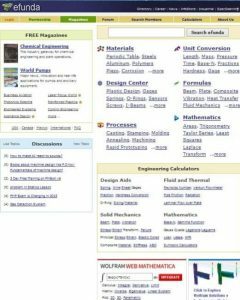 efunda or engineering fundamentals site has a huge collection of formulae for various topics essential for engineers, online calculator to solve various financial, mathematical and engineering problems, unit converters. They also have design tools, discussion forums, and magazines for various disciplines. This site is beneficial for those looking for concise and relevant information. List of formulae and calculators helps the visitor in quickly completing their task. The visitors of this site are not only engineers but also the members of the scientific (Physics, Chemistry, and Mathematics) community. 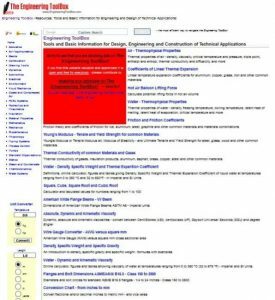 This site is a collection of unit conversion tools and information required for designing, engineering, and other technical applications. Every data and tool is arranged on this site very nicely. The also provide extension tools for SketchUp. You can find any topic regarding any field of engineering you are concerned with. 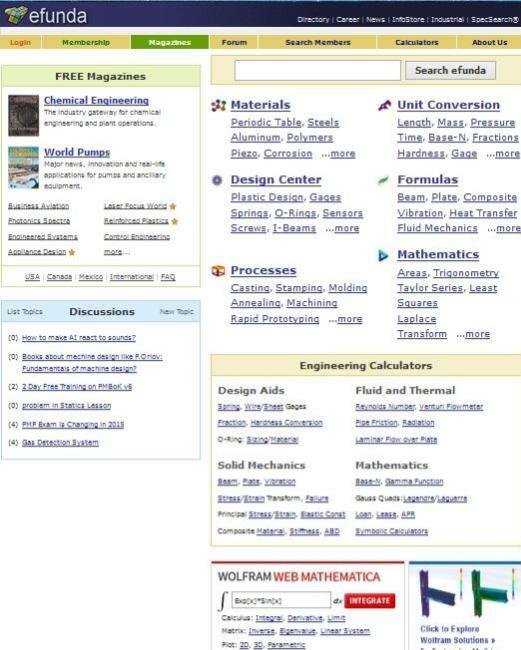 Benefits of using this site are: free to use the unit converter and a large collection of tools and information available for you. The visitors of this site are engineers from various fields. 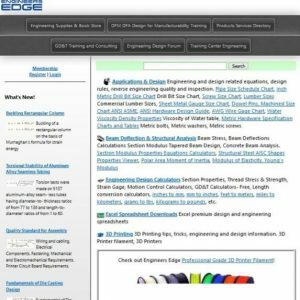 This site has a large collection of discussion forums, blogs, and whitepapers about various engineering fields. 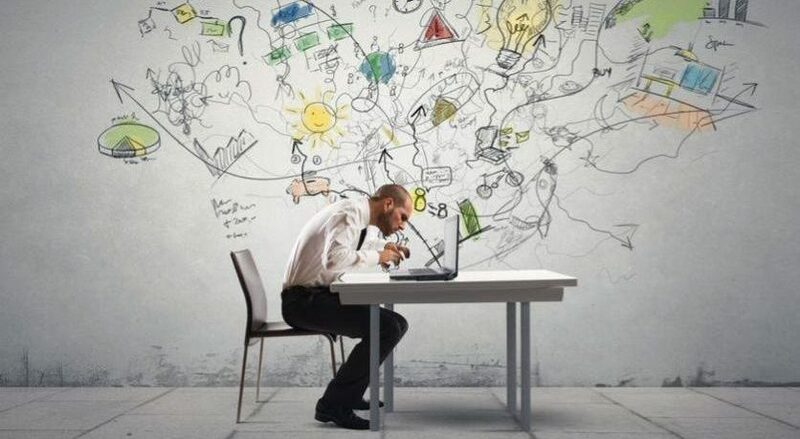 Highly qualified professionals share their views and ideas and this helps in the development of new ideas and information. This site connects you to other links to give itself a vast look. Engineers looking for jobs can also come here. This site is beneficial for those looking for discussion forums or blogs to share their ideas and gain something new from others and it is a good job search portal for engineers. Engineers from various fields are the frequent visitors of this site. This site is run by Jim McGovern, Professor and Senior Lecturer at the Dublin Institute of Technology. 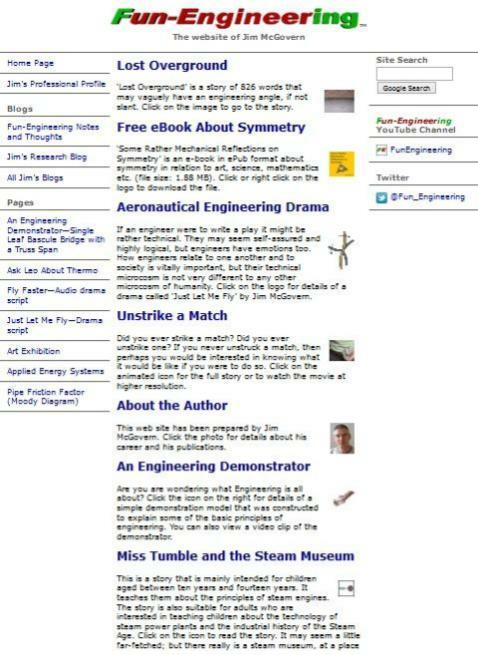 On Fun Engineering, you will find his blogs and research works, notes, videos, and solutions for any problem. Just post your problems and you will get a solution. Benefits of using this site are Advice from a highly qualified professional, well-written notes, blogs, and tutorials. Its visitors are mostly Mechanical engineers and Physics students. This site has all the latest tech news, blogs, discussion forums for engineers to clear their doubts and share innovative ideas, list of products and suppliers for projects, email newsletters, and product alert emails. This is beneficial for those looking for what’s new in the technological field and want to be up to date with the advancements. Engineers from different fields are its regular visitors. On this site, you will also find answers to basic questions, news, eBooks, and varied information. 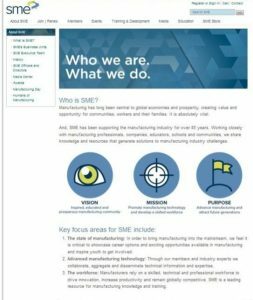 Their main aim is to provide knowledge and resources to resolve manufacturing industry challenges. They also provide online training and development courses. They also organize various events to bring together the biggest thinkers and doers of the industry, from innovators to key decision-makers. 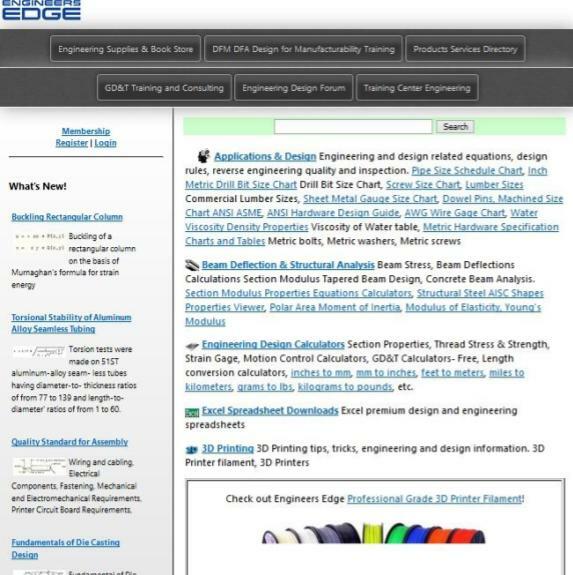 This site is beneficial for those working in the manufacturing field. This site has solutions for problems faced manufacturing industry. People related to the manufacturing field are its regular visitors. 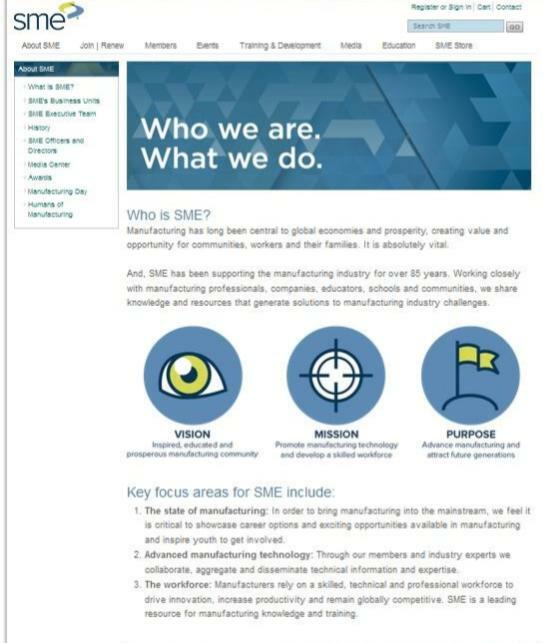 This website is also related to the manufacturing field. It has all the information required for the designing while manufacturing, supplies and bookstore, list of products and suppliers and discussion forums. You can consult this site for training purpose also. 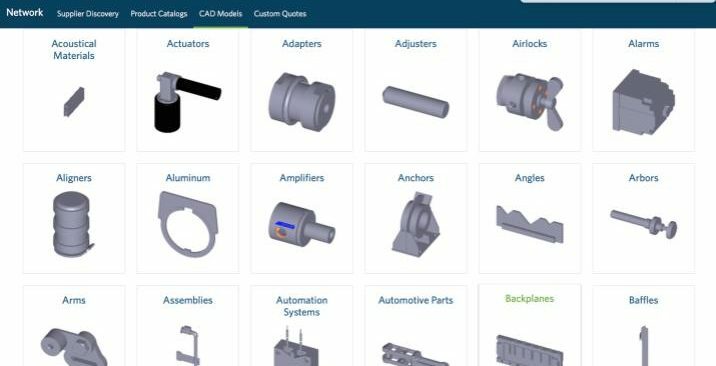 This engineering website is beneficial for those working in the manufacturing field and interested in designing of products. Its frequent visitors are engineers from manufacturing and design field. 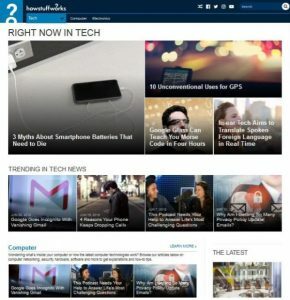 This site is different from other engineering websites. It has a glossary of General Dimensions & Tolerances (GD&T). They have all the required information about GD&T. 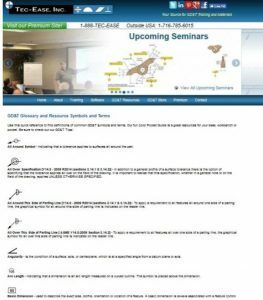 You can consult this site for on-site and computer-based training, seminars, webinars, GD&T pieces of training in China, Canada, and Spanish and store for GD&T related software, eBooks etc. 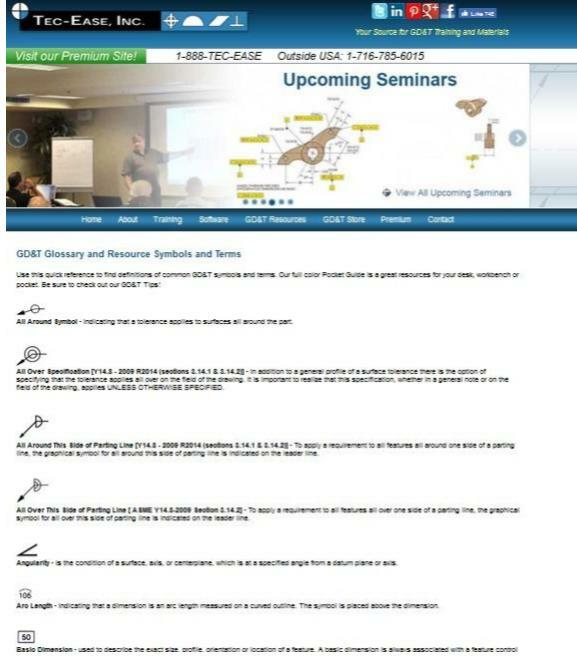 This site is beneficial for those looking for a well arranged GD&T chart and information about GD&T training. Engineers, designers and manufacturers from automotive, aerospace, electronics, commercial design, and manufacturing industries are its visitors. You can find here videos and tutorials on any topic and from any field like science, tech, entertainment, auto, lifestyle, adventure etc. 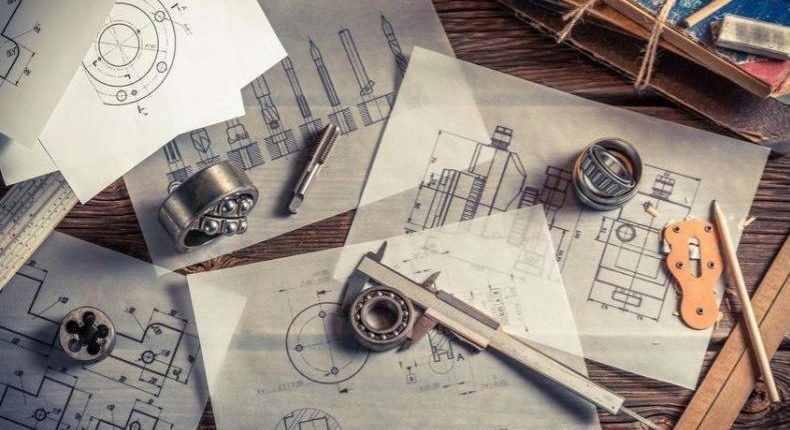 This site is very helpful for engineers as well. They have got some good stuff to help them increase their knowledge. An engineer can go through the science, tech and auto section to know more about their field. 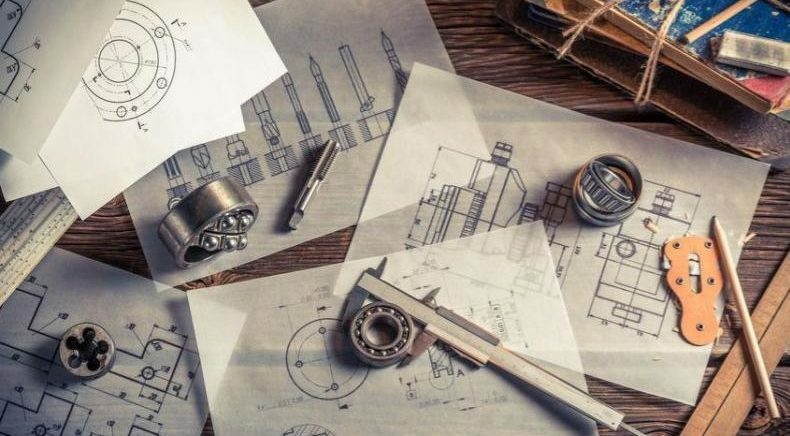 This site is beneficial because it has videos which explain how a particular thing is works, their working principle, new ideas for engineers etc. Best site to explore beyond your subject. 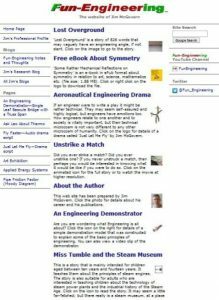 This site is not only for engineers but for other professionals as well.